How we speak about and celebrate history speaks volumes about our values as a society. History functions not only as a vehicle for remembrance but also as a mirror reflecting our present selves. History is told by humans, who are influenced by their own values and politics. What is focused on and what is left out in the mainstream historical discourse is not decided objectively; rather, it is a reflection of our own values as a society. If we do not care about certain voices, why would we choose to highlight them in our history? 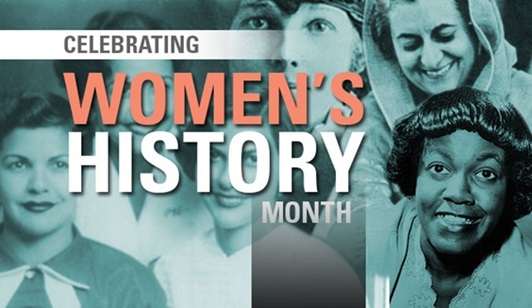 March is Women’s History Month, a time dedicated to remembering the contributions of women both to our past and present. The contributions of all women are not highlighted, however, and the ones we do focus on are discussed in a very narrow fashion that reinforces the problems of mainstream (i.e., white) feminism. Take the U.S. women’s suffrage movement, for example. The movement culminated in the passage of the 19th Amendment, which extended the right to vote to all women. Except, not really. In reality, white women were enfranchised, but many other women — women of color — were not. Native Americans (including Native American women) were not granted citizenship until 1924, and some states barred them from voting until as late as 1957. African Americans (including African American women) were largely kept away from the voting booth before the Voting Rights Act of 1965 (which, it should also be noted, is currently under attack). Chinese Americans (including Chinese American women) were not granted citizenship (and thus enfranchisement) until 1943. It is disingenuous to continue to claim that the 19th Amendment extended voting rights to all women — and yet at the same time, it is an incredibly honest example of our values and interests as a society both then and now. Which stories our history privileges reflects the value our society grants certain voices and the privileges they may or may not carry. It would be one (still incredibly problematic) thing if these women were the only ones fighting for the right to vote. But that is not the case. One clear example of a woman of color organizing for women’s suffrage is Ida B. Wells-Barnett, who was an anti-lynching crusader, women’s rights advocate, and journalist. In 1913, she organized the Alpha Suffrage Club for black women in Chicago and brought them with her to Washington, D.C. to march in a parade for women’s suffrage. They were asked by the parade’s organizers to either stand in the back or not to participate. By misremembering this history, we continue to perpetuate the racist and exclusionary nature of the women’s suffrage movement. This is not an issue that can be relegated to the past. Racism still plays a large role in mainstream (white) feminism. It is thus vital that we fully acknowledge this movement’s limitations both past and present in order to transform this reality into one based on inclusion, justice, and respect for all. Here’s to that future, and here’s to all the women who fight for justice. This Women’s History Month is for you. Not to defend racism ever, at all, historically or in the present, I still want to say that the way these stories are told and re-told involve who the teller of the tale is, what they see and how the story is used. Often, the conflict is repeated and repeated, but not the resolution– Ida B. Wells did march with the Chicago delegation in Washington that day, partly because she insisted and partly because two white women also insisted and marched on either side of her, defiantly. Stanton’s disgusting outburst did come in the context of having worked with black men, notably Frederick Douglass, for voting rights, for decades and then –with other women, white and black, being asked to step aside when the fight for the 15th amendment to the Constitution was underway. So it’s an outburst– she and Douglass healed their relationship down the road. To me, working on this history, the chronic political pitting of white women and women of color against each other is political– together, we are still the greatest threat to everything we fight against– racism, colonialism, sexism, all the evils of world history. So I’m just trying to complicate the tale a bit.